For almost 3 years, I’ve been working with (and loving) OurHarvest, an online farmer’s market that sources from over 170+ local farms. 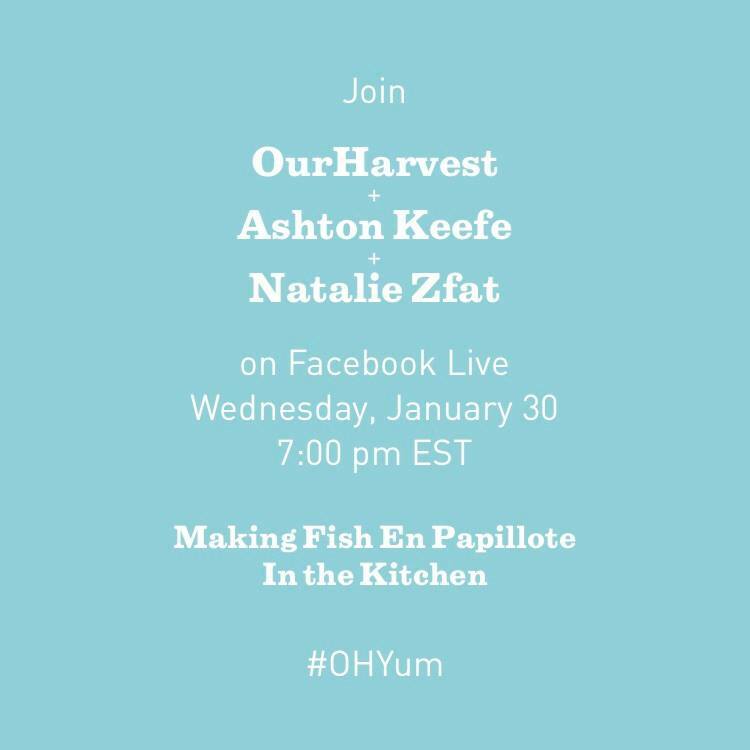 Chef Ashton Keefe graced my kitchen with her presence this week to teach our Facebook Live viewers and I how to prepare Fish En Papillote, a delicious, buttery and presentation-worthy dish. If you weren’t able to tune in, you can catch the video here (fish pun intended), and get the recipe and fresh, local ingredients from OurHarvest.com.